On August 8, 2015, Together Assisting People Inc. hosted its “Giveback to the City” event at Stockham Park in Birmingham, Ala. It was held from 3 to 6 pm, and consisted of free food provided by Magnolia BBQ & Fish, athletic apparel and t-shirt giveaways, three-on-three basketball and kick ball tournaments and much more. Deejays from 95.7 Jamz and 98.7 Kiss FM came out to support as well. 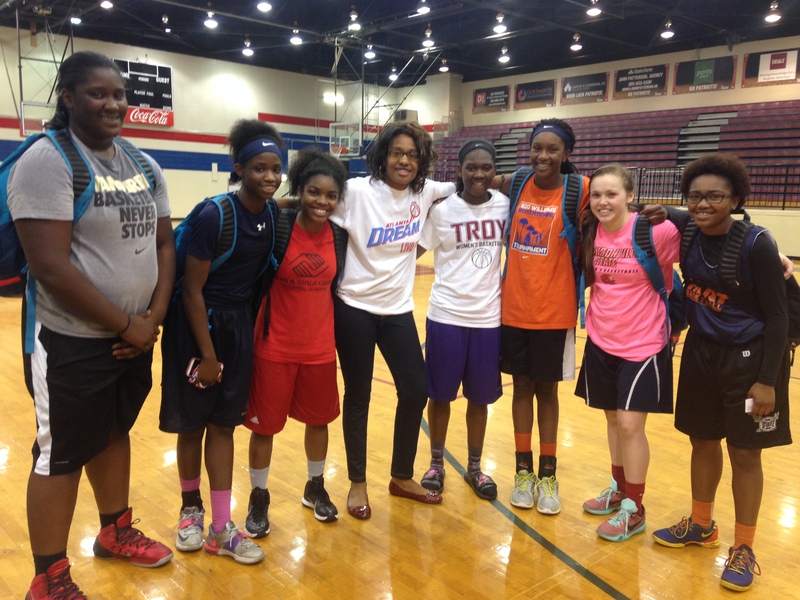 On June 30, 2015, Brittany had the opportunity to meet and offer some words of wisdom to the young ladies of the Alabama Heat Elite Amateur Athletic Union basketball club before they embarked on a journey of showcases across the Southeast. Brittany has been a part of Together Assisting People nonprofit organization since January 2015. She has served as a mentor, public speaker and research analyst for web content. TAP’s mission is to prepare student athletes for success outside of athletics and Brittany’s passion as a community activist and former student and athlete mirrors that mission.